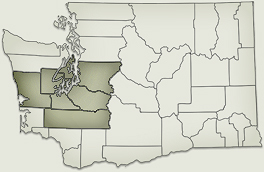 Established in March 2007, Able Guardianship Services, LLC, provides professional guardianship and trustee services to over 175 individuals in seven (7) counties throughout western Washington. 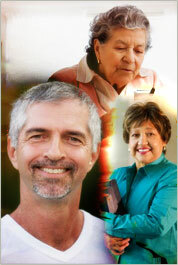 Able Guardianship Services is dedicated to providing the highest quality of support to our clients. We accomplish this by carefully looking at the whole picture and with as much input from the incapacitated person as possible, weigh the advantages against the disadvantages, the risks versus the benefits, and develop a balance between maximizing the person’s growth potential while maintaining the person’s safety and security. We hold a Certified Professional Guardianship Agency (CPGA) designation. CPGA designations must be approved by the Certified Professional Guardianship Board and certified by the Washington State Supreme Court. This allows the Agency itself to become qualified to perform services as a professional guardian as defined in RCW 11.88.008. Certification is given to agencies that meet the requirements for certification of an agency in General Rule of Court (GR) 23. See the “About Us” tab for more on our team. Referrals from adjacent counties are considered on a case-by-case basis. Learn More…What is a Guardian? A guardian is one who has been appointed by the Superior Court to act for a person whom the superior court has found to be incapacitated. The court may appoint a guardian of the person, a guardian of the estate, or a guardian of the person and the estate, depending on the needs and capabilities of the incapacitated person. In general, a guardian is responsible for the individual’s “care, custody, and control,” while considering and respecting the individual’s preferences. Guardianship of the Person and/or Estate can be limited in any manner that the court believes to be appropriate. In those instances, the powers of the guardian are limited to those specified in the court order and the limitations are reflected in the Letters of Guardianship issued by the Clerk of the Court. The responsibility of a Guardian of the Person typically involves assisting the Protected Person with the daily decisions that affect personal life. For example, a guardian of the person would be empowered to decide where the Protected Person should live and to make medical decisions. In order to do this the guardian will have to gather some knowledge of the Protected Persons finances as well as the Protected Person’s personal needs. The responsibility of a Guardian of the Estate typically involves managing the estate and spending the Protected Person’s funds as needed for the Protected Person’s support, education, and care. The guardian must file with the court an initial list of the Protected Person’s property and keep accurate records of money received and spent. Reports to the court must be made regularly. Want to learn more about professional guardian qualifications, ongoing requirements, or standards of practice? Click here to be directed to the Washington Courts – Certified Professional Guardian Board Program.